Continuously changing customer and market requirements as well as new developments in information technology have become a dominating factor in today’s business environment. To be successful enterprises have to adapt quickly to new opportunities and threats. They have to take smart decision and execute fast. Innovation and agility become important success factors. 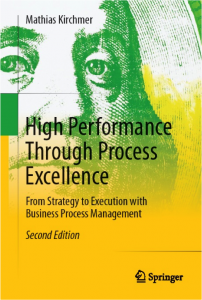 The Management of Process Excellence (MPE) is the main enabler. It helps achieving immediate benefits while building lasting process management capabilities. MPE links strategy with people and technology based execution. Service Oriented Architectures (SOA), Web 2.0 or “cloud computing” support this approach. The right process governance, including centers of excellence, and knowledge assets in form of reference models increase the delivered value again. The resulting next generation enterprise is ready for long term success. The book discusses how business process management delivers real value in private and public sector organizations around the world. It addresses executives and managers as well as educators and students.